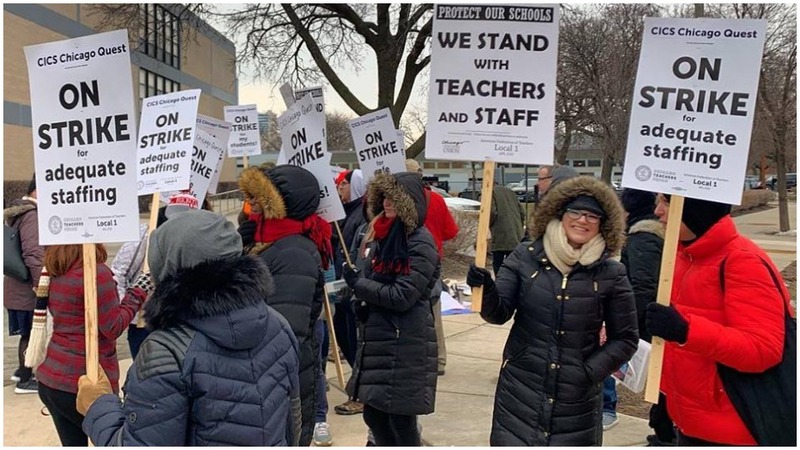 CHICAGO—Almost 200 unionized educators and staff at four schools run by the Chicago International Charter School network are on strike here this week. A number of CICS campuses have been faced with budget shortages and staff cuts over the last year. According to the Chicago Teachers Union website, however, CICS has received increased taxpayer funding, with a surplus of approximately $36 million. This money according to the CTU, is being used to pay the salary of corporate executives and subsidiary corporations, prompting CTU members to demand a hearing on organizational and economic misconduct by Illinois charter school networks. A hearing by the Elementary and Secondary Education Committee of Illinois’ general assembly on charter network management structure was scheduled for Feb. 8 in the Bilandic Office Building in Chicago. Teachers, paraprofessionals, and staff from the four CICS campuses are fighting against class-size increases and are demanding a salary boost. According to The Chicago Sun Times the starting annual pay rate for a CICS teacher is about $44,000, approximately $8,000 less than starting Chicago Public Schools teachers make. Teaching assistants make even less, starting at an average of $28,000 a year. Jen Conant, a math teacher at Northtown Academy, says the terrible working conditions and low pay have resulted in high turnover rates at her school. “When I was a first-year teacher, one of my students turned to me and asked me if I was going to leave like all the other teachers. 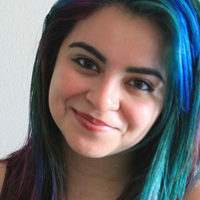 That is heartbreaking.” Conant says that she, like many other educators, has had difficulty maintaining a sustainable learning environment for her students when she is being forced at the same time to deal with low pay and a lack of classroom resources. Several of the teachers and school staff have already faced backlash from CICS executives during their first week of the picket line. Union leaders were confronted by police Wednesday morning after CICS sent headquarters representatives to “disrupt the picket line,” strikers charged. Educators and paraprofessionals gathered at Wrightwood Elementary at 6:15 a.m. to begin their scheduled picket rotation. Upon arriving, they discovered two individuals from CICS management patrolling the location. The two CICS network representatives were identified by strikers as Larry Daniels and Christine Leung. Daniels is listed as a facilities manager on the CICS website, and Leung is the chief of strategy and portfolio. It was Daniels who called the police on striking CTU members, Underwood told People’s World. “As our alderman from the 18th ward was on the way to meet us [Daniels] said ‘I’m calling the f*cking police on you guys.’” Underwood maintains that the picket line was legal, and that Daniels wrongfully accused them of blocking the school’s parking lot entrance. According to Underwood, the first police officer to show up on-site attempted to confiscate the union’s bullhorn. “The sergeant got upset because we refused to hand over the bullhorn. He kept saying it was a violation of a city noise ordinance.” After the strikers asked to be shown the specific ordinance they were allegedly violating, they were met with an increase in the number of police officers present. Ultimately, officers and CTU members were able to de-escalate the situation without any arrests being made, and strikers resumed their activities. Despite continued resistance from the CICS bargaining committee, educators remain steadfast at the picket line. Conant, who is also a chair of the CTU’s bargaining committee, has been present at negotiations with CICS representatives. “The last few days have not been particularly fruitful. Our CEO has not shown up; we’d like to see a decision-maker at the table. 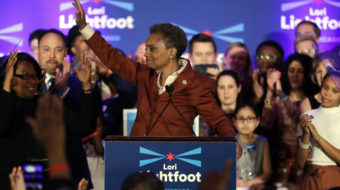 Our goal is to get settled,” Conant told People’s World Wednesday evening. Nevertheless, educators want to assure parents that the demands being made by the union are all with the students’ best interests in mind. 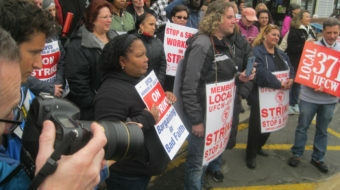 “We would much rather be back in the classroom than on the picket line,” Conant said. According to CTU bargaining committee members, management has implied on several occasions that increasing teacher salaries would result in layoffs of counselors and social workers at the schools. This an issue that educators are not willing to negotiate on; several of the charter schools are located on Chicago’s south and west sides where students lack access to mental health resources. “We will not trade teachers’ raises for cuts to vital frontline staff or programs and paraprofessionals,” the CTU vowed in a statement. This strike marks Chicago’s second among charter school teachers this school year, and after an action in Los Angeles last month, the third charter school strike in U.S. history. The strike affects approximately 2,200 students at four CICS schools: Northtown High School, ChicagoQuest North High School, Wrightwood Elementary, and Ralph Ellison High School. Though it is not clear when bargaining will resume, teachers and staff are anxious to get students back in the classroom. In the meantime, students who choose to attend class were under the supervision of principals and non-union staff as the strike entered its fourth day Friday.